I often hear people say that it must be difficult to go vegan, and it must be hard to find foods to eat. It’s actually not that difficult at all, and there’s plenty of delicious food to choose from. 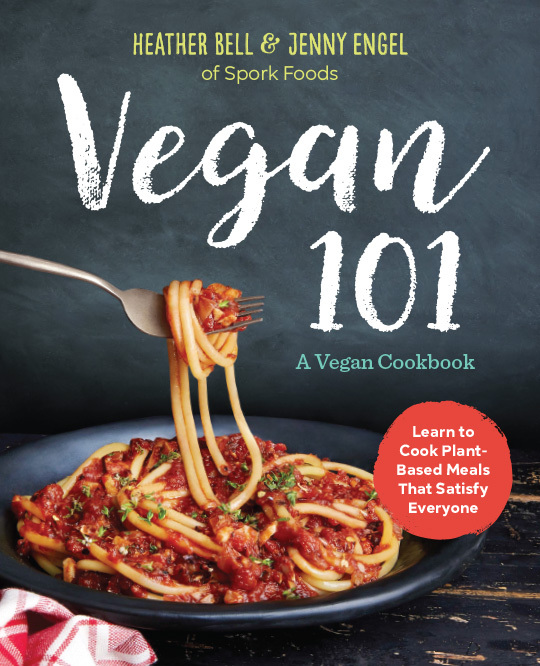 Heather Bell and Jenny Engel have written Vegan 101 to show just how easy it is to go vegan and cook amazing plant-based meals. Heather and Jenny are known for Spork Foods, a Los Angels-based gourmet vegan company. 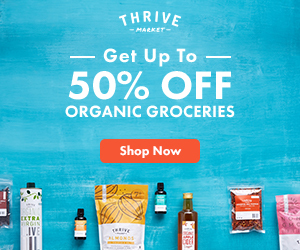 Through Spork Foods, they offer vegan cooking-cooking classes, in-home healthy eating consultations, private cooking parties, corporate demos, and more. We can’t all travel to LA, but we can now all learn the sisters’ secrets to incredible vegan cooking thanks to Vegan 101. 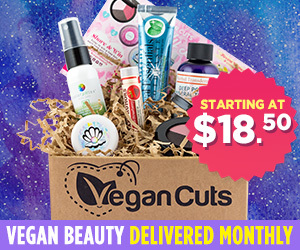 Vegan 101 starts out with a list of vegan foods that might be new to people who are just beginning their plant-based journeys. Here you’ll learn what exactly seitan is and what to use to replace cows’ milk. This chapter also has meat substitution tips, info on vegan cheeses, and some nutritional info, for those worried about their protein and calcium intake. The recipes in Vegan 101 will take you from breakfast, through lunch and dinner, and all the way to dessert. Each chapter starts with Heather and Jenny’s go-to dish, which makes it easy to find a dish that will satisfy everyone. Many people think that vegan food is complicated to make and that they’ll need expensive ingredients to make it with, but the sisters show just how wrong those beliefs are. These recipes are easy to make, and they use easy-to-find ingredients. They’re all easy recognizable dishes, so even picky meat-eaters will be pleased. Who can say no to Baja Battered Avocado Tacos with Pickled Red Onions or Buffalo Tofu Wraps? How about Savory Cheddar and Basil Scones or Sticky Bourbon Pecan Pie Bars? 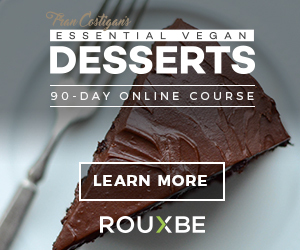 Seasoned vegans will love Vegan 101 just as much as newbies will. I’ve been vegan for 15 years, and I curled up with a cup of tea and read through the book as if it were a novel, marking the pages of recipes that I want to make. An Ultimate Breakfast Sandwich with Secret Sauce? Yes, please! Acorn Squash Fritters with Korean Spicy Sauce? Hell, yeah! German Chocolate Hand Pies? Can’t say no to that! 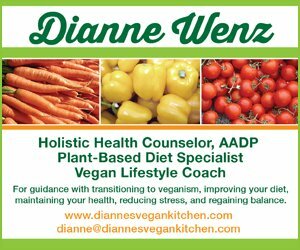 Heather and Jenny have also included a list of menus for special occasions, and list of resources to make vegan living easier. Testimonials from their cooking school students are sprinkled throughout. Vegan 101 is perfect for new vegans who want to learn how to cook as well as those who have been vegan for a while and want to add new recipes to their meal rotation. Eating figs feels like a spiritual experience to us, because our ancestors also enjoyed the very same delicacy thousands of years ago. 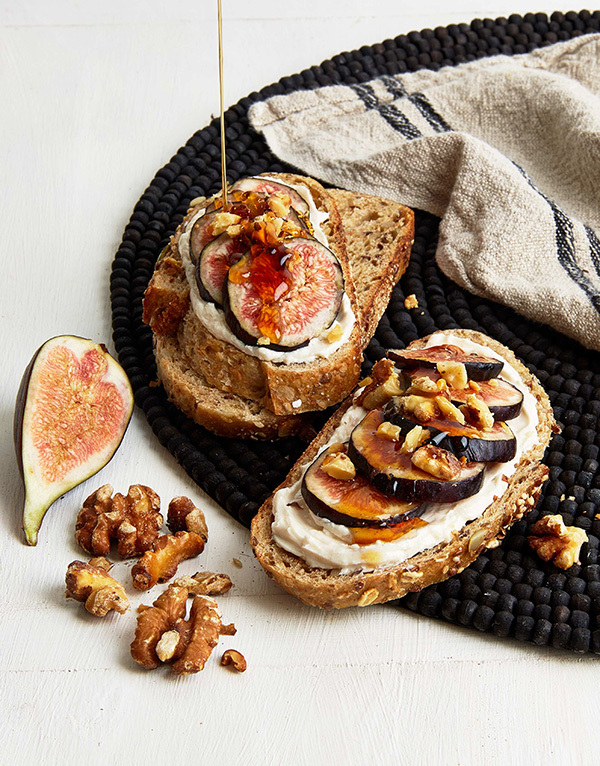 Combining figs with walnuts and vegan honey piled atop freshly toasted bread takes this versatile fruit to a whole other transcendental plane. 1. In toaster oven, toast bread about 2 minutes, or until golden. 2. Meanwhile, slice figs into thin rounds. Set aside. 3. Slather each piece of toast generously with cream cheese. Add sliced figs, and sprinkle each piece with toasted walnuts. Drizzle with honey. 4. Sprinkle with sea salt, followed by lemon juice and zest. If you can’t find vegan honey, whisk together 1 tablespoon brown rice syrup with 1 tablespoon agave. It works like a charm! Be sure to purchase fresh figs only one to two days before making this dish. They go bad quickly. Recipe reprinted with permission from Vegan 101 by Heather Bell and Jenny Engel. Photo by Kate Lewis.